FC Platinum grabbed a 1-0 win over Chicken Inn in a Castle Lager Premiership match played at White City stadium this afternoon. The game had a slow start but the introduction of Walter Musona for Brian Muzondiwa was a key turning point for FC Platinum with Musona giving his side the edge together with an impressive Marshall Mudehwe. 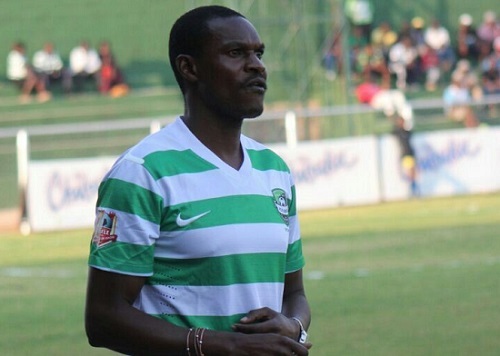 Winston Mhango’s scored in the 43rd minute after a pass from Musona and the goal was enough to hand maximum points to Norman Mapeza and his team. There was controversy though when Chicken Inn were denied a chance to level when what seemed to be a genuine penalty was turned away by the main referee Thomas Massar despite his assistant signalling a handball inside the box. Massar instead decided to give a free kick outside the box. The decision infuriated Chicken Inn head coach Rahman Gumbo who lashed out a the referee during and after the game. Chicken Inn also finished the game with ten men after Thabani Goredema received a red card for a second yellow card. Ishmael Lawe could have grabbed a late equaliser but his header only came agonising close. The win sees FC Platinum go on top with 33 points but having played a game more than Highlanders who meet Triangle next week.